Anyone who knows me knows how much I love Italy. It's easily my favorite travel destination, and no matter where I go in this beautiful country I always have a wonderful experience. 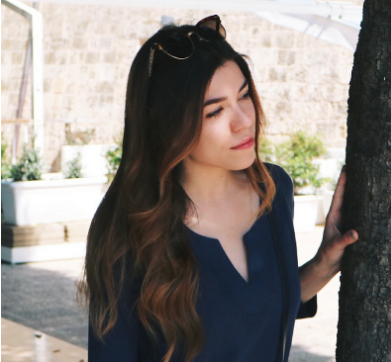 Each place is so unique, and yet, it's the same core aspects that make me appreciate Italy's cities so much: food, culture, history, architecture, and unique landscapes. 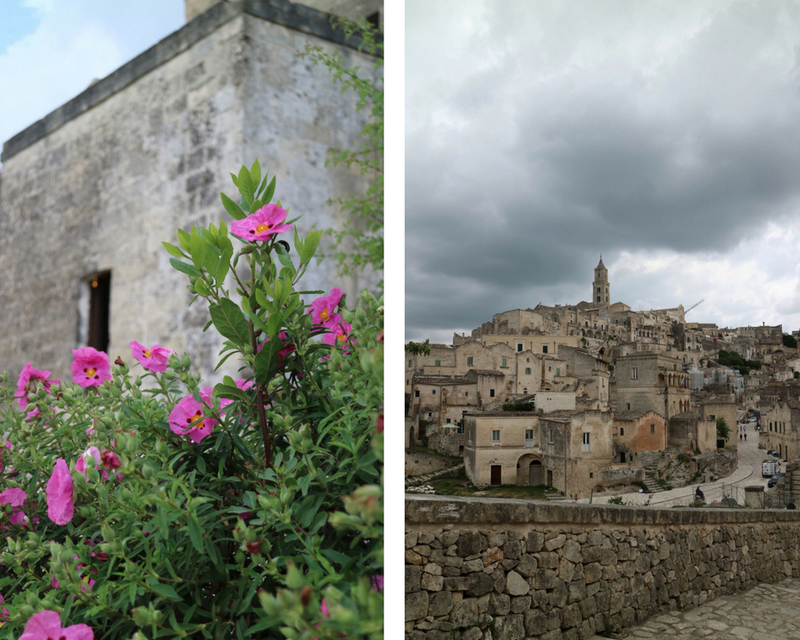 Most recently, I traveled to the Southern part of Italy to two regions I had never visited before: Basilicata and Puglia. I would describe these areas as being relatively untouched by tourism, and therefore unapologetically authentic and inexpensive. I enjoyed every place I visited on this trip so much, but there was one place that really stood out to me for its incredible uniqueness...Matera. Matera, practically carved right into the sandstone mountain upon which it sits, is surrounded by an absolutely striking landscape of valleys and fields and is known for being one of the oldest, continuously inhabited cities in the world. However, about 100 years ago, the city's conditions were baffling; entire families lived in small cave houses that were once inhabited by Neolithic settlers, and did so alongside their livestock with limited food and poor health. It was for these reasons that the once prosperous ancient city became known as the "shame of Italy" during the 20th century. But, Matera has been given a sort of second chance, as it was recently named the European Capital of Culture for 2019. 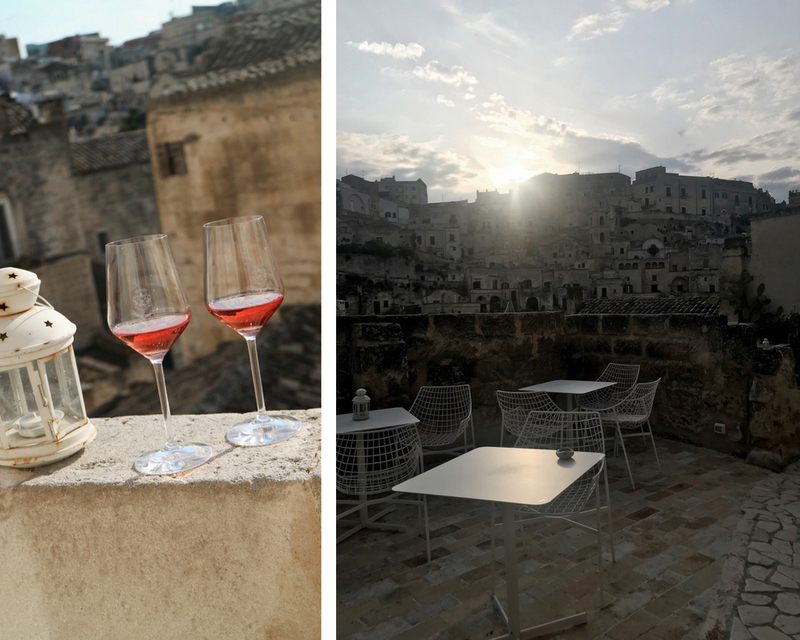 As a result, I am sure that the popularity of Matera as a travel destination will soar over the next few years, so I wanted to share my recommendations with you, including what to see, eat, and where to stay in this memorable city. It's certainly on the list of places I'd like to return to in Italy again! 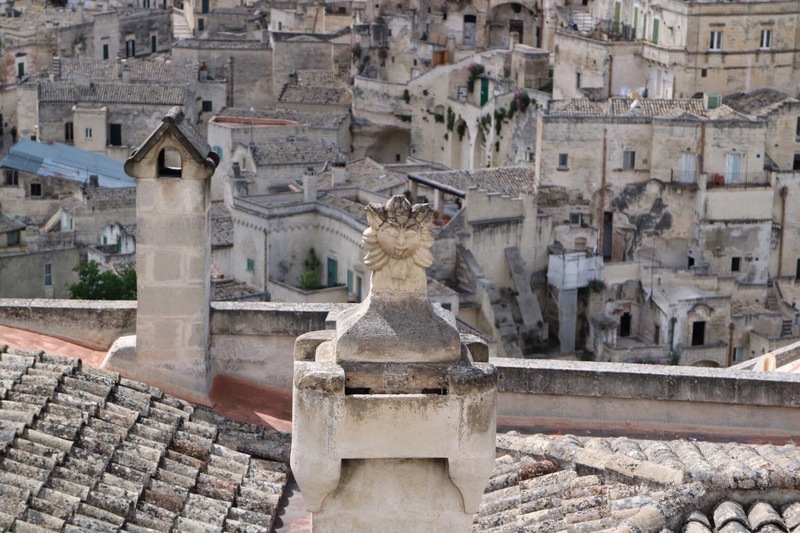 Because the entire city is so closely grouped, Matera may seem small, however, in reality it is comprised of buildings practically piled one on top of the next, and has a population of over 60,000 people. 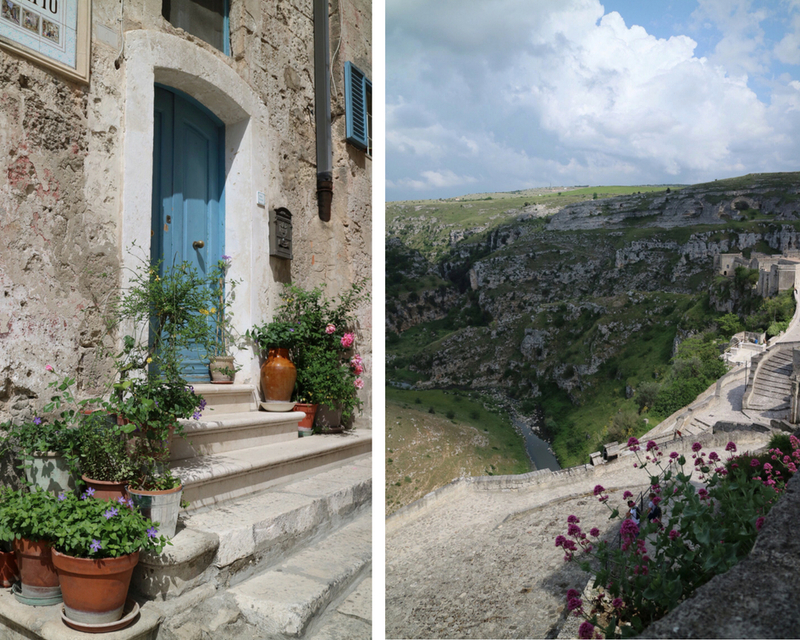 There really is a lot to explore in Matera, although not in the same way that there is in major Italian cities like Rome or Florence. The reason that I enjoyed this smaller city so much is because you if you really take your time and allow yourself to get lost along the way to some of the landmarks, you'll discover so much more than what has been mapped out for tourists. In the four days I spent here, I still had yet to see every nook and cranny that this ancient city had to offer. I've listed some of the sites that are definitely worth making a point to see, below. Sassi di Matera - Preserved cave dwellings that originated as a prehistoric settlement dating back to 7,000 BC. This is believed to be the oldest settlement in Italy and one of the oldest in the entire world. I found it incredible that 9,000 years later, some of them are still inhabited; imagine being able to say you lived in a home that old!? Some parts are not open to tourists, as they are considered dangerous, however, I'd recommend taking an afternoon to wander this area and explore the cave houses that are not prohibited. Matera Cathedral - 13th-century Catholic church in the main square of Matera. Sasso Caveoso - Cave church perched high atop one of the rocks in the city. Chiesa di Santa Lucia alle Malve - A medieval church cut into the sandstone rock. 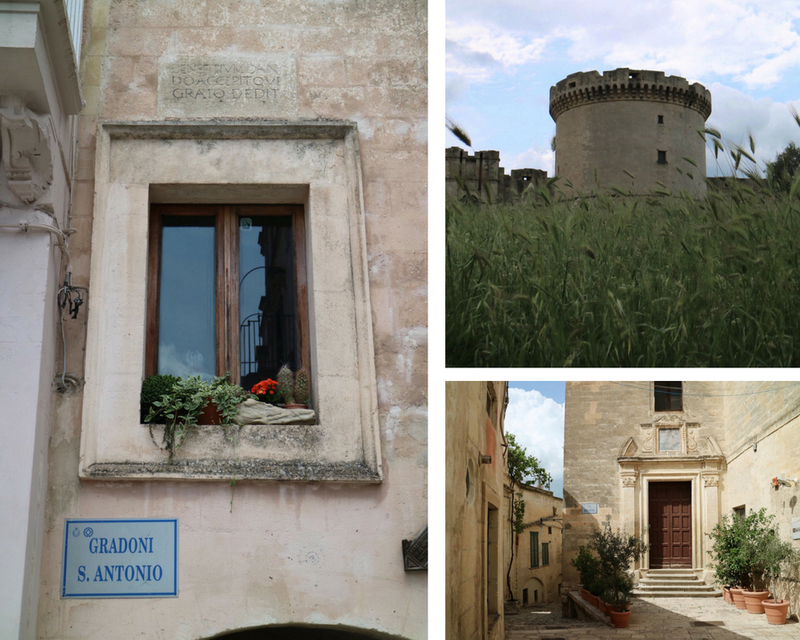 Casa Noha - A tourist attraction in Matera where you can enjoy a short film outlining the history of the city with English translations. This isn't something I'd typically do, but to be honest, since Matera is newer to tourism, this is one of the only ways to fully understand how the city came to be. 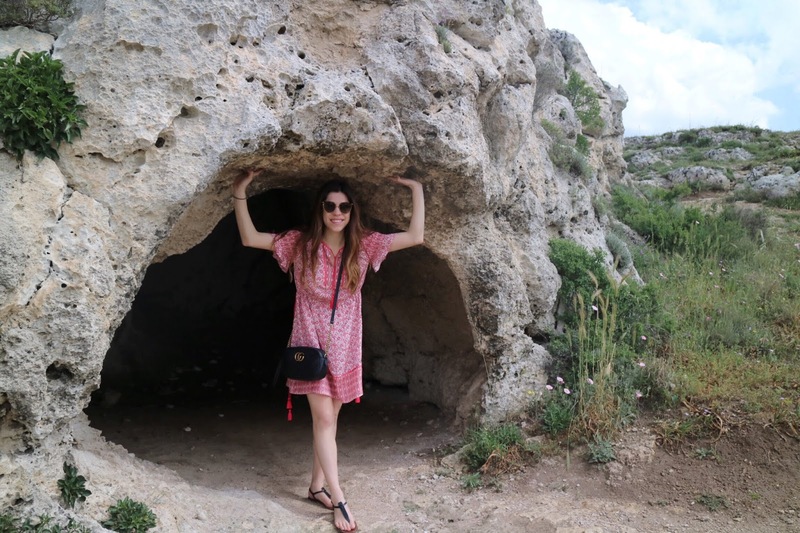 Casa Grotta nei Sassi - A tourist attraction that allows you to see the way the cave houses of Matera were typically set up. Parco della Murgia Materana - This is the park that you can see across the valley while in Matera's city center. It is comprised of a system of primitive caves and medieval rock churches, and is great for an afternoon of exploring. 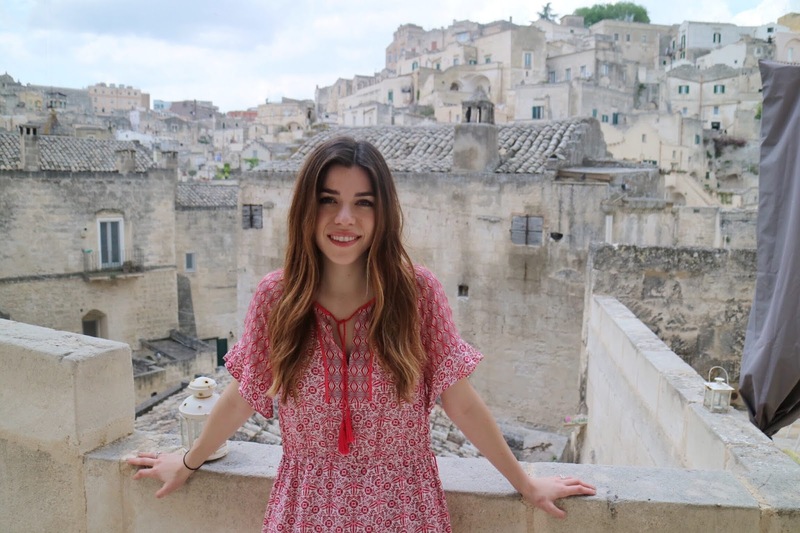 It's also the perfect spot to take some panoramic views of Matera, and to really see the build-up of architecture in the city from past to present. 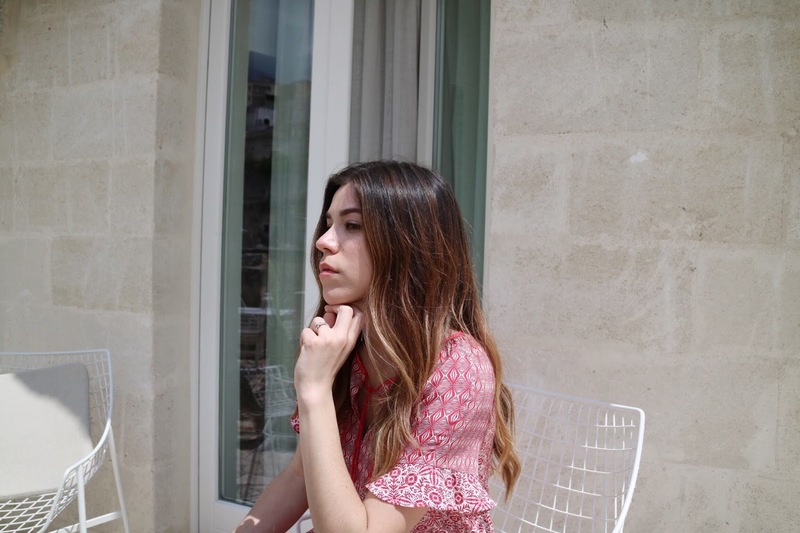 While in Matera, I stayed at La Dimora di Metello, a small boutique hotel with four modern suite-rooms built into an ancient stone dwelling in the Sassi di Matera. It's perched high up a few flights of stairs above the main city road, which gives it sweeping and picturesque views. I'd highly recommend this hotel to anyone looking for a really personal hotel experience, as the owner, Elisabetta was extremely accommodating even though there is not a 24-hour reception. She was able to book us restaurants every evening for dinner (more on the food below), all of which were incredible, a really unique tuk tuk experience which took us to the Parco della Murgia Materana, and also a great driver to get us to and from Matera. 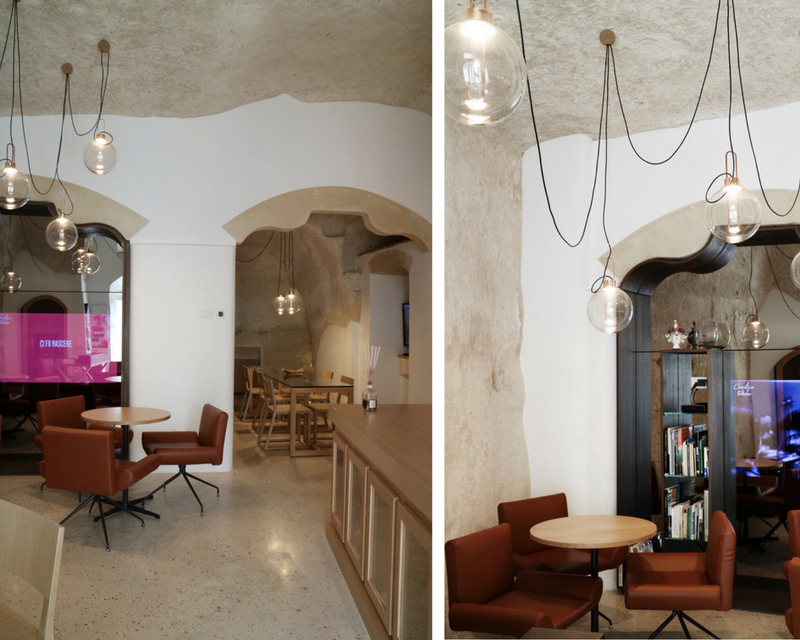 Although the rooms themselves are situated in caves, the hotel's decor is ultra-modern and minimalistic, and they offer a delicious breakfast every morning in the lobby. The reason I truly loved this hotel was because of the terrace and views - it totally made the visit. Each room opens up to a communal terrace, with chairs in front of each of the doors, and then one larger seating area. After climbing so many stairs while exploring each day, it was the perfect spot to sit and relax with a glass of wine before dinner while the town enjoyed their siesta. Where do I even begin? 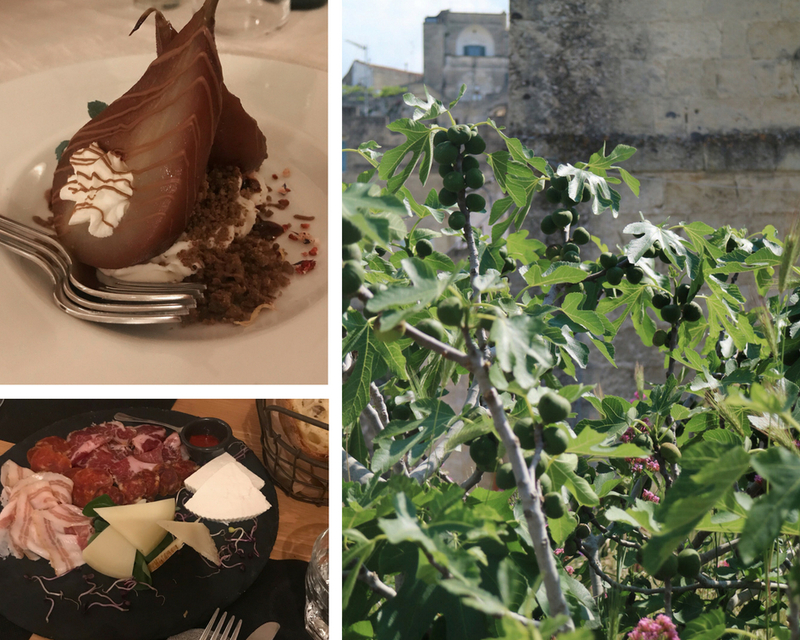 The food in Matera is certainly something to write home about. As I mentioned earlier, the owner of our hotel was able to recommend and book us tables at some of her favorite restaurants in the city, and they were all so enjoyable. We also had found a few recommendations from other travel sites and blogs, and I can truly say that we didn't have one single meal that wasn't beyond delicious - which is a rare occurrence when traveling! The locals pride themselves on using home-grown ingredients from local farms; from the wheat for the handmade pasta, to the fruit and vegetables, the cheese, the meat, and even the wine! It's also worth pointing out that the food here was some of the best and least expensive that I've ever had in Italy; a dinner for two with appetizers, entrees, a bottle of wine and dessert would cost between 60-80 USD, depending on whether you choose meat or pasta. 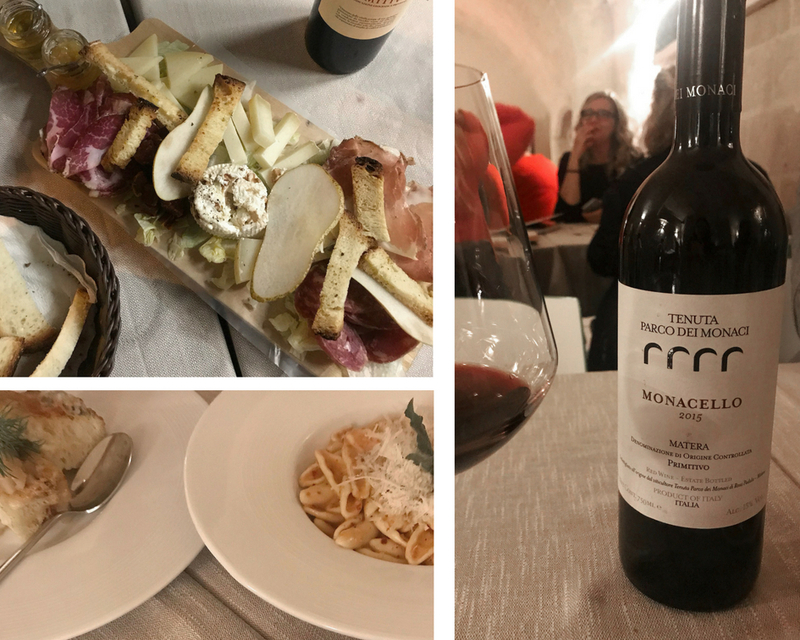 Below I've outlined my favorite restaurants in Matera, as well as some dishes you should not miss there! Al Casale - There is something (delicious) for everyone at Al Casale; including pizza, fish, meat, pasta and a few other vegetarian options. The restaurant had an incredible meat and cheese plate (see above) and great wine menu to go along with it. I'd recommend trying a bottle of the Monacello Primitivo, which is a wine I have only been able to find in Matera; it's reasonably priced and deliciously full-bodied. I also liked that they offered small pasta dishes, which are typically shared prior to the main course; it's a great place to try a few types of local, handmade pasta. Hemingway's Bar - Sounds like a tourist trap, but I promise it's not. This is a local-filled bar with great outdoor seating perfect for enjoying lunch and a cocktail in the sun. We ate a plate of assorted crostini and shared a salad; it was simple, but so delicious. La Gattabuia - This restaurant is located in an old cave prison, which gives it some serious ambience, surprisingly. It also has a really great menu filled with local delicacies, like Meatballs & Bread with Vegetables and Crushed Cruschi peppers (fried local peppers that are delicious), Mixed Pasta with Beans and Cream of Mussels, and Lamb with Garlic and Mint, which is not for me, but I did see it appear on quite a few menus. Da Nico - This restaurant is located right below our hotel, La Dimora di Metello, and has absolutely delicious homemade pasta dishes and charcuterie platters. Try the cavatelli, the orecchiette, or the papardelle...or all three! Pair it with a bottle of chilled Primitivo Rosato wine 😍. I'm hungry just thinking about it. Oi Mari - A popular Neapolitan-style pizza restaurant, that's perfect for both lunch and dinner. They have many pizzas to choose from, all of which are delicious. Oi Mari offers outdoor seating, but it's worth noting that the inside of the restaurant has a wonderful aesthetic as well. Try the Sporcamus for dessert; a local creme filled pastry which translates to "dirty mouth" - you'll see why when you try. 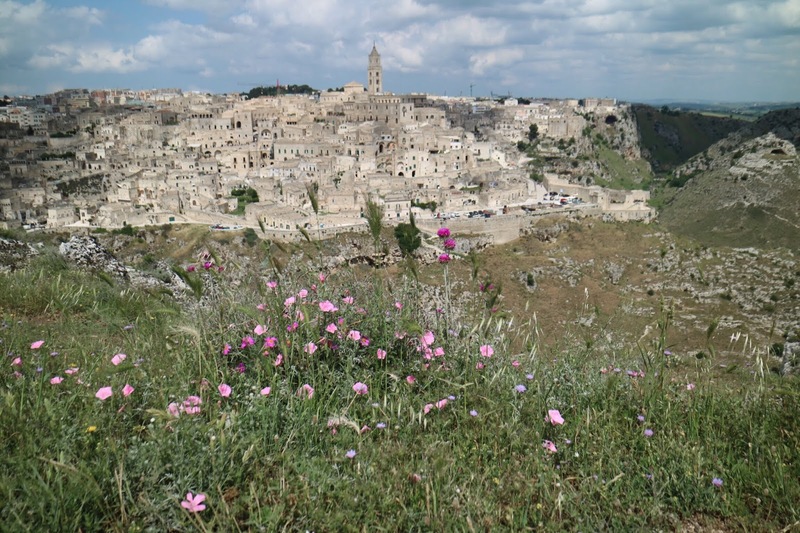 Have you ever visited Matera before? If so, I'd love to hear what you loved most about it!